This New Smart Wheel Will Instantly Make Your Bike Electric. - Bicivilizados. Ciclismo urbano. Alegría entre tus piernas. 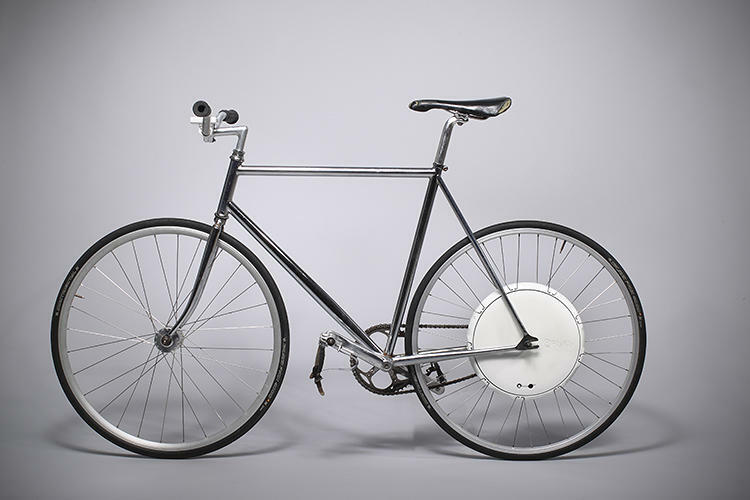 Home / bike design / This New Smart Wheel Will Instantly Make Your Bike Electric. 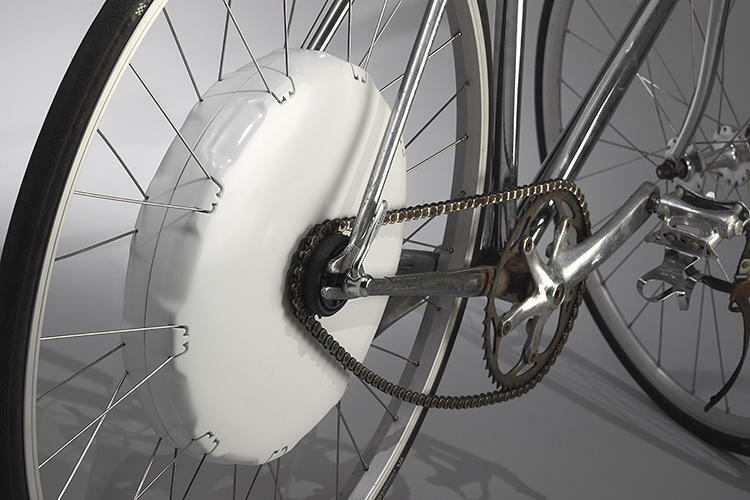 The FlyKly Smart Wheel is a slim, lightweight motor that easily attaches to your back wheel and–voila!–you don’t have to pedal anymore. Extra bonus: Your bike can now track your routes.